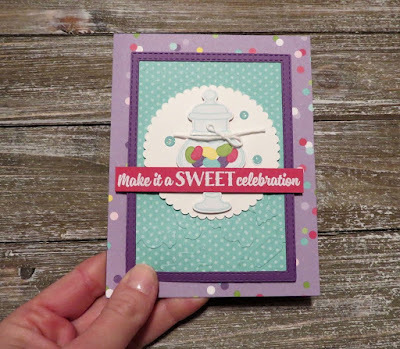 Karina's Kreations: Stampin'Up Sweetest Thing Card! 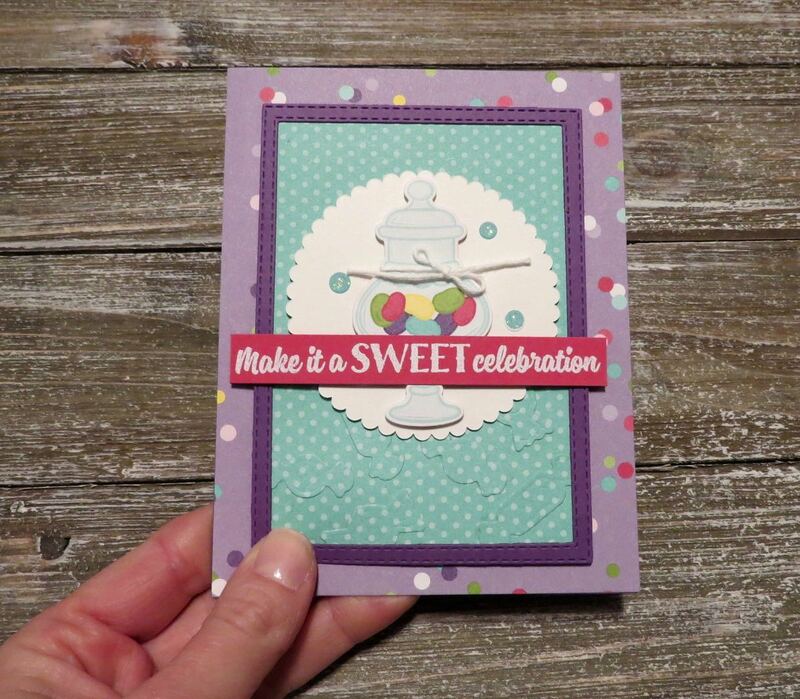 Have you seen the Stampin'Up Sweetest Thing stamp set yet? 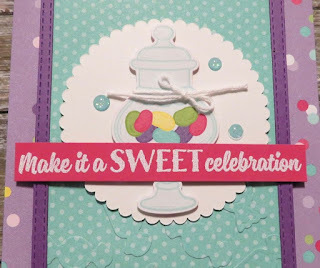 It is so fun to create cards and treat holders with. The whole product suite is so pretty including the Designer Series Paper, Card stock pack, Reversible Ribbon and Sweet Pin & Tags. Look at this amazing card. I got is as a swap from Winona. I love all the detail. 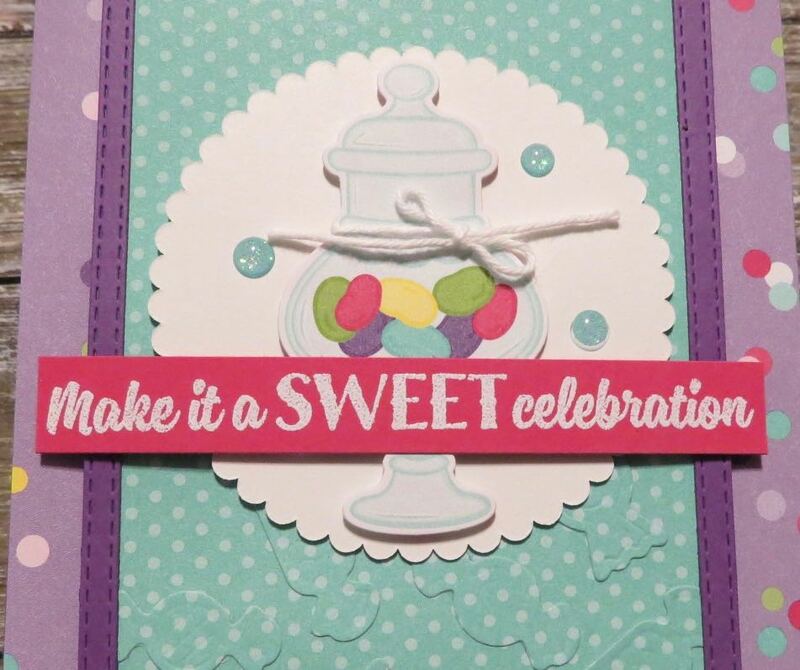 If you look closely at the jar of candy, you can see it is cut from the designer series paper. Winona used the Jar of Sweets Frameits dies although you can fussy cut it with scissors too. I have listed the products used to make this card. To place an online order please click on a picture below. If you spend $60, you get a free sale-a-bration item.